In this book, the projects, buildings and theories of Koolhaas, as well as the other members of the Office for Metropolitan Architecture, are examined in chronological and thematic sequence, beginning with the period of Koolhaas’ education at the Architectural Association School of Architecture of London in the cultural context of the neo-avant-gardes at the end of the 60s and at the beginning of the 70s. 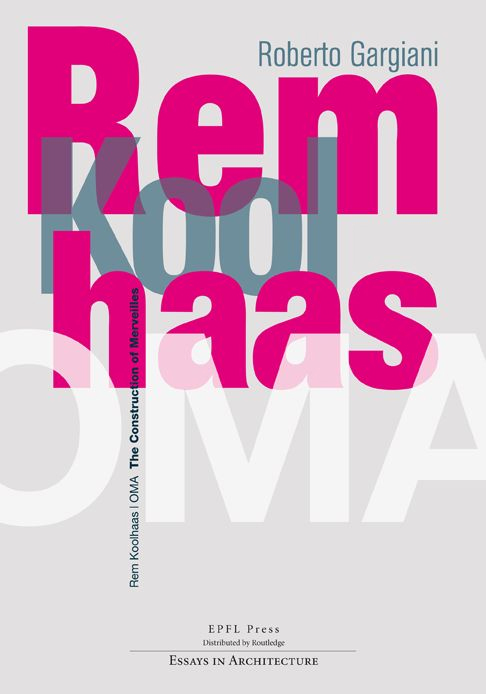 The essay then discusses the period of his stay in New-York, his contact with Ungers, Eisenman, Rowe, as well as the polemic confrontation with the emerging post-modernism movement; and it concludes with the last critical contributions of Koolhaas. The starting point is design, which, in the case of Koolhaas, usually grows out of an alchemy of logic, influenced both by the proposed program (as viewed by the clients and institutions) and the metaphorical and autobiographical aspiration of the artist. The analysis is carried through to the details of construction, with special attention paid to the choice of materials, the configuration of the structure, and the role and position of the installation. 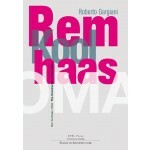 In this book, the projects, buildings and theories of Koolhaas, as well as the other members of the Office for Metropolitan Architecture, are examined in chronological and thematic sequence, beginning with the period of Koolhaas’ education at the Architectural Association School of Architecture of London in the cultural context of the neo-avant-gardes at the end of the 60s and at the beginning of the 70s. The essay then discusses the period of his stay in New-York, his contact with Ungers, Eisenman, Rowe, as well as the polemic confrontation with the emerging post-modernism movement; and it concludes with the last critical contributions of Koolhaas. The starting point is design, which, in the case of Koolhaas, usually grows out of an alchemy of logic, influenced both by the proposed program (as viewed by the clients and institutions) and the metaphorical and autobiographical aspiration of the artist. The analysis is carried through to the details of construction, with special attention paid to the choice of materials, the configuration of the structure, and the role and position of the installation. The book is richly illustrated and includes an exhaustive bibliography.